A gorgeous earrings! You'll want to wear them every day. 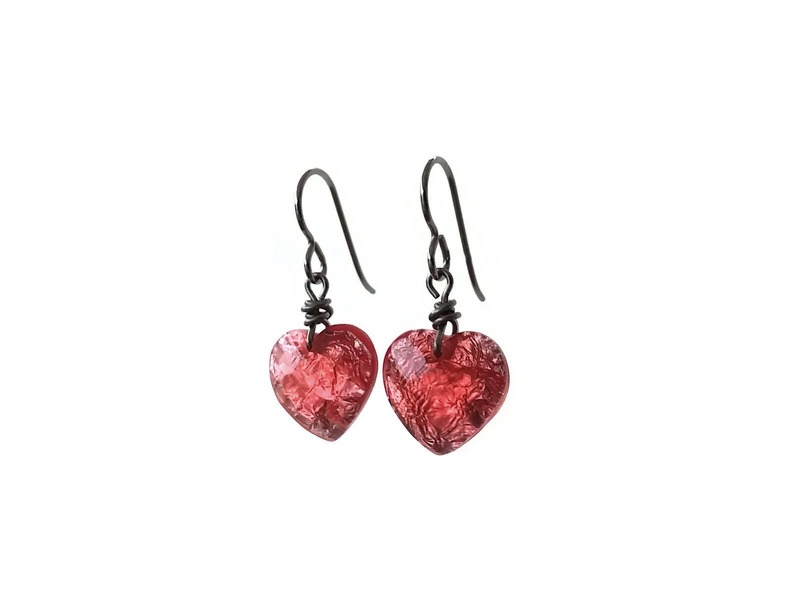 Very fashionable with this glimmering red heart drop pendant. 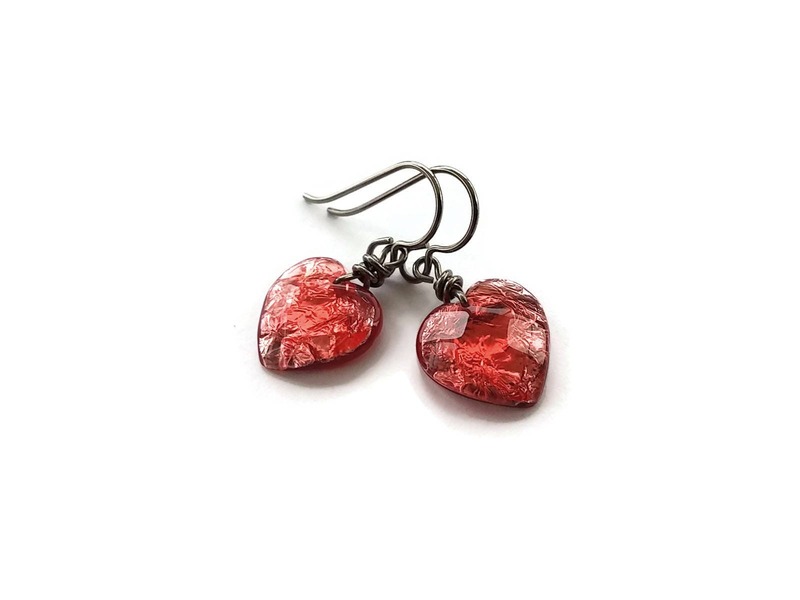 These pendants earrings are extremely easy to wear. I've assembled with pure titanium ear wires. Titanium is 100% hypoallergenic and will not produce skin irritation or discoloration. 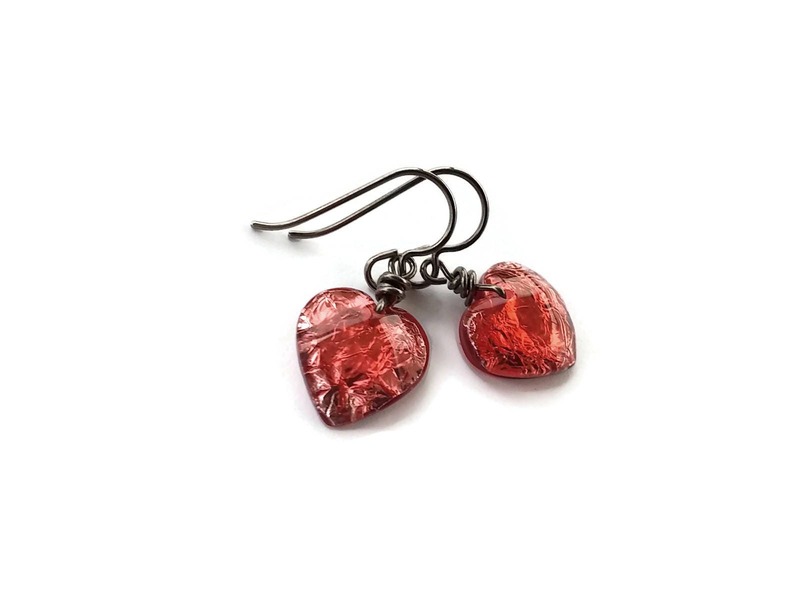 Hypoallergenic heart resin pendants measuring 13 x 14mm (approx. 1/2").